Whether referring to a commercial or industrial environment, safety and cleanliness are always two primary concerns. This is why owners need to pay special attention to the condition of their floors. However, such a priority can sometime be challenging due to time or financial constraints. This is also the very same reason why a growing number of firms are leveraging the benefits associated with hiring professional floor scrubbers offered by CL Floor Care. What advantages can you expect to enjoy and why are the scrubbers provided by our firm a cut above the rest? One of the issues which many businesses must face is the fact that they are unable to purchase floor scrubber dryers due to a limited budget. The good news is that this hurdle can be overcome when working with the team at CL Floor Care. Not only do we supply trusted brand names such as Nilfisk and Karcher, but our team ensures that each unit is in pristine condition. Thus, clients will no longer have to be concerned about untimely maintenance issues. This dramatically streamlines day-to-day logistical concerns. 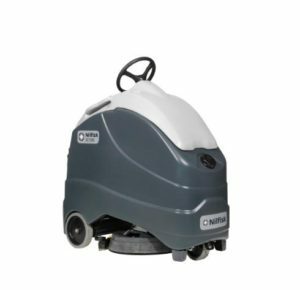 Notwithstanding the top-quality brand names, the selection of floor scrubbers for hire provide by CL Floor Care is able to suit nearly any environment imaginable. 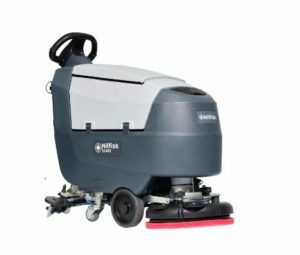 Not only can customers choose from ride-on or walk-behind configurations, but the unique cleaning mechanisms associated with each variant is suited for specific types of floors. It is therefore possible to select the best machine to address highly specific requirements. This also saves time as opposed to being forced to outsource numerous third parties. Only the most modern floor scrubbers should be chosen when tackling challenging tasks; particularly large environments such as showrooms and warehouses. This is why the models provided by CL Floor Care have been specifically designed to accommodate such locations. Of course, the best way to appreciate our line of floor-cleaning machines is to examine each category in greater detail. Whether you require a floor scrubber for a one-off project or you are interested in long-term rental options, the team at CL Floor Care is always here to help. Please do not hesitate to contact a representative at your convenience. We will also address any additional questions that you may have.